Poor weather for mothing last night so wasn't expecting much and the cool, breezy night with a few showers delivered the kind of haul I'd expected. It might be my last chance to trap here for a couple of weeks though so thought I may as well. Only 5 species; in order of decreasing abundance: hebrew character, common quaker, clouded drab, brindled beauty and a lone lunar marbled brown. Turns out this is the first individual of this handsome species that I've caught at home (I haven't done much spring trapping here before). I did n`t bother last night as the conditions looked poor, but full marks for trying Vaughn. 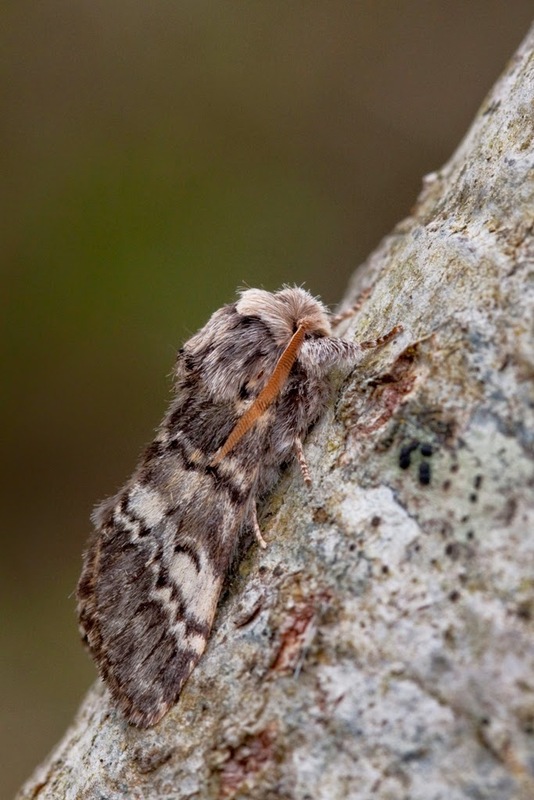 Looking at other moth blogs, note the finding of scarce silver y larva at Craig y llyn, Glamorgan by George Tordoff using `sweeping` with his net - worth trying in Carms (see Glam blog link), and also the Ceredigion moth blog made me aware of blossom underwing....something that can be overlooked amongst the quakers....it`s worth being diligent!